We are engaged in manufacturing products such as repair sleeves. WrapMaster manufactures PermaWrap and WeldWrap, the only composite pipeline repair sleeve designed to be detected by MFL "Smart Pig" tools. The patented PermaWrap composite reinforcement sleeve is a pre-manufactured rigid composite pipe wrap with some distinct advantages that are of direct benefit to our clients. Keeping in mind the ever-evolving needs of our clients, we are devoted towards offering an optimum quality array of Repair Sleeve. Repair Sleeves of compression type are used to repair the conductor with strands broken in the outer layer. They are manufactured from Aluminium extrusion and comprises of two peices with a provision of sliding of the keeper piece. We are one of the foremost firms of Repair Sleeves For ACSR & AAAC Conductors. 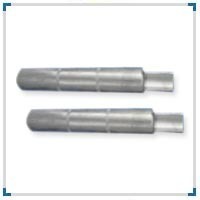 We are devoted towards offering the qualitative range of Repair Sleeve for Earth Wire, as per client’s precise need and requirements. Shree Samarth Switchgear & Transmission Pvt. Ltd.
M/s Anushree Electrical Engineers (P) Ltd. 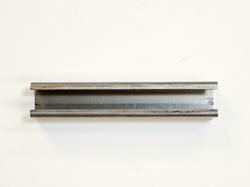 These are available in extruded aluminium for all conductor sizes. Galvanized steel is used in case of earthwire.